Cardtantei is a collectible trading card game that functions similar to Mind Candy’s Perplex City. Players can purchase packs of cards that contain puzzles ranging in difficulty from easy (5 Detective Points) to hard (30 Detective Points). Going to the Cardtantei homepage linked via semacode on many cards allows you to gain Detective Points by solving the puzzle with the unique identification number scratched off the top of the card. Many of the puzzles are similar to those shown on the Japanese puzzle game show IQ Suppli or in the video game Professor Layton and the Curious Village. As in Perplex City, however, the cards hide a larger mystery. Upon registering for the site, the player begins to receive emails intimating there is more to the cards than the individual puzzles. Certain cards have portions of a larger picture on the back of the card. Assembling the cards to reveal the larger images provide clues to larger scenarios that draw the player deeper into the mystery. 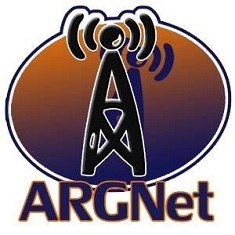 According to kwsk, the webmaster at ARGFan, ARGNet’s Japanese counterpart, following the clues sent via email and inputting puzzle solves leads to additional puzzles, phone numbers with automated voice messages and different websites helping the player uncover crimes that can only be solved by careful observation and investigation. The interaction is fully automated, so players can start at any time as long as they have a few cards and a rudimentary knowledge of Japanese. Detective Conan tells the story of a young detective who solves mysteries, so the brand extension is a good fit. And while the game’s puzzles are relatively simplistic, the easier puzzles allow ambitious players to play through the entire experience on their own. Kwsk informed me that the game was viewed as a big success in Japan. Media Factory showcased the game with a tutorial event at the World Hobby Fair on July 12-13 of this year, and hinted at the existence of a second season of gameplay with a new edition. Click Here for ARGFan’s coverage of the Detective Conan ARG or to purchase the cards. Special thanks to kwsk at ARGFan for his help with this article.